Former Bartlett football coach, Frank Kronoff, described Rene as �one of the hardest working athletes he coached, a kid with soft hands and an extreme desire to achieve.� Rene�s athletic accomplishments, during and after high school, truly do this statement justice. 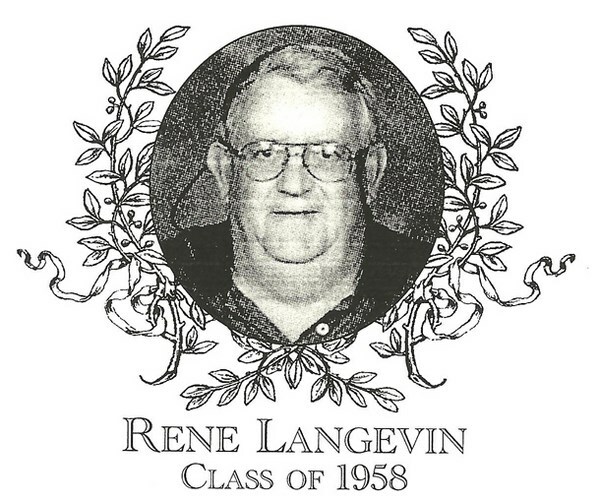 Rene was a two-year starter in football, basketball, and baseball. On the gridiron, he played both as a stellar offensive and defensive end, and in a number of games he came up big with game-deciding catches � especially noteworthy was the game changing grab on Turkey Day morning in his junior year. In basketball he played guard excelling on defense, and on the diamond he patrolled the outfield for the Indians. Outside of athletics, he served as a class officer and belonged to a number of clubs. Rene�s prowess did not stop upon receiving his Bartlett diploma. At Nichols College, he played both on the football and lacrosse trams for four years. In his freshman year he received the Outstanding Freshman Athlete Award; in his senior year he captained the football squad and played a solid center midfield for the Bisons. During the 1970s, Rene returned to his alma mater and coached both football and lacrosse, leading both squads to championships, and was also inducted into the Nichols Hall of Fame. Rene served as Bartlett�s head football coach twice, from 1981-1988 accumulating a 51-25-3 record, and then again from 2003 until 2005. Two of Rene�s teams also won Border Conference Championships in 1984 and 1986. His teams were always very disciplined and well prepared. He led the Indians to two Super Bowl appearances and had an outstanding Thanksgiving record versus Southbridge, winning nine out of eleven years. In 2004, Rene was named as Bartlett�s Athletic Director, a position he continues to serve today. His leadership skills in heading up the Bartlett athletic program have been noted by many, and he is considered to be one of the top athletic directors in the Southern Worcester County League. Rene resides in Webster with his wife, Karen. He has four children, Matthew, Jennifer, Kara, and Ann and six grandchildren, Justin, Spencer, Kyle, Cameron, Sean, and Annika.